When: Sat., April 27, 1-4 p.m. 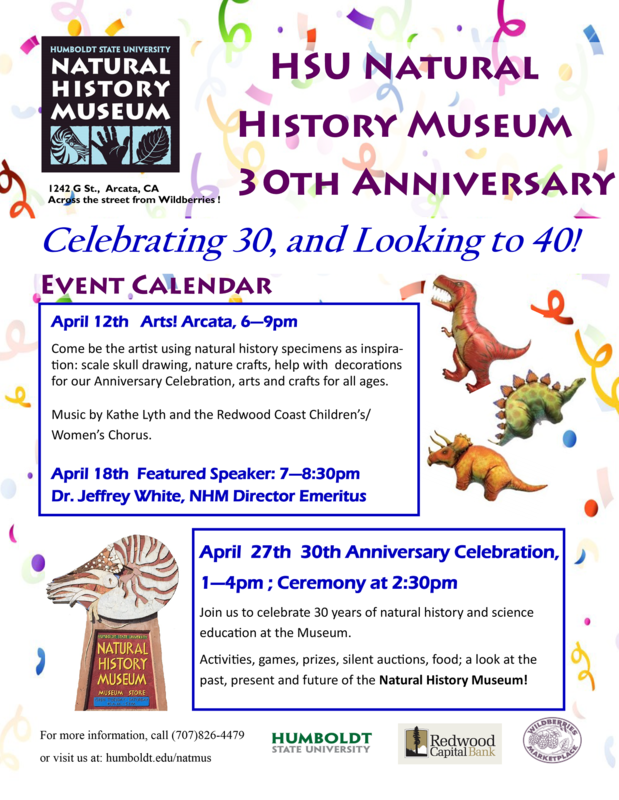 The HSU Natural History Museum celebrating its 30th Anniversary. A ceremony will begin at 2:30 p.m to honor past and present efforts and a look towards the future. There will be a silent auction, food, drink, music, activities for kids, fun photo opportunities and more. Please join us and show your support of a much loved and admired science center.